The first peony order I'm placing after returning from the 2018 American Peony Society Convention in Portland, Oregon is with Fina Gardens for Peony 'Nice Gal' and Peony 'Super Gal'. 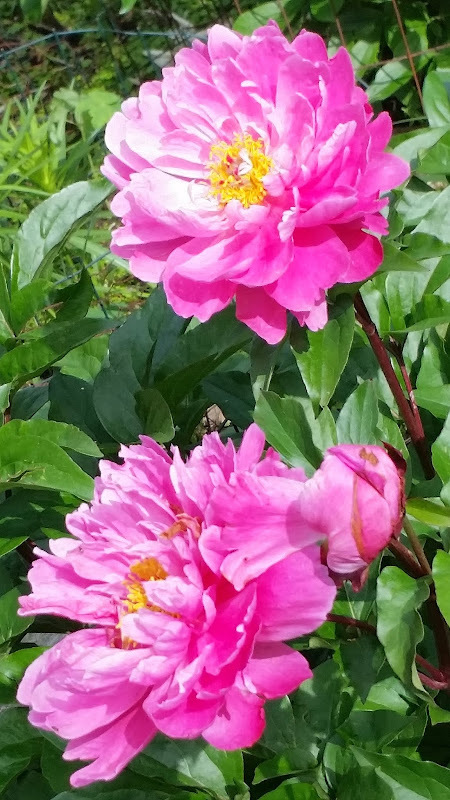 No, Fina Gardens wasn't on the APS Convention Tour, (they're in Wisconsin, not Oregon) but they do have peony I saw on the tour, plus another similarly named one I'd seen on a previous APS Convention Tour. I just saw the Peony 'Super Gal' during the 2018 American Peony Society Tours Oregon Perennial Company. This peony was growing in Piet's personal garden right next to his home, and I really loved it. The photo below is one I took in his garden during the tour. Gorgeous, right? It reminded me of the Peony 'Nice Gal' that I had seen in Kentucky during the 2015 American Peony Society Whitehall Mansion Tour. According the the APS Cultivar Registry, Peony 'Nice Gal' was hybridized by Krekler and registered in 1965. Peony 'Terrific Gal' and Peony 'Super Gal' are both hybridized by Klehm and were registered in 1995 and 2000, respectively. I'm wondering if Peony 'Nice Gal' was one of the parents in the Klehm hybrids, since the APS registrations don't reveal that detail. Moreover, it seems that Peony 'Nice Gal' and Peony 'Super Gal' seem to be my favorites out of the bunch. So I was happy to be able to place an order with Fina Gardens for both of these "gals" at the same time. 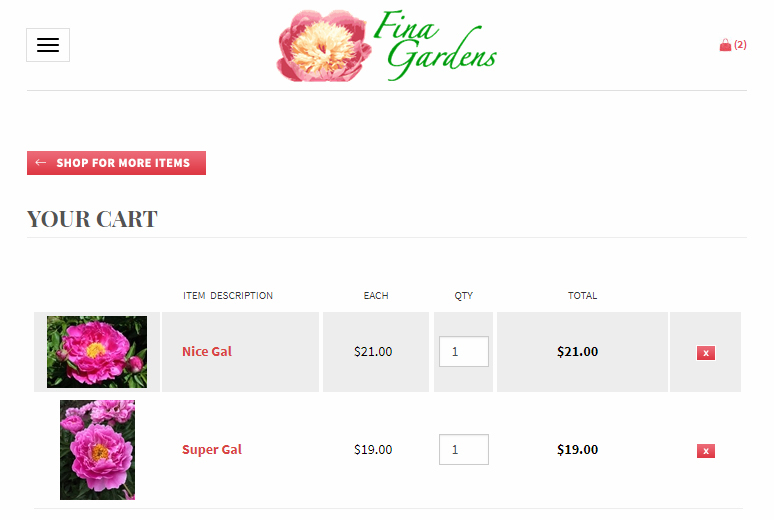 Also I don't think I've ever placed an order with Fina Gardens before. So this will be a good opportunity to evaluate their goods.